I read and re0read the whole article. 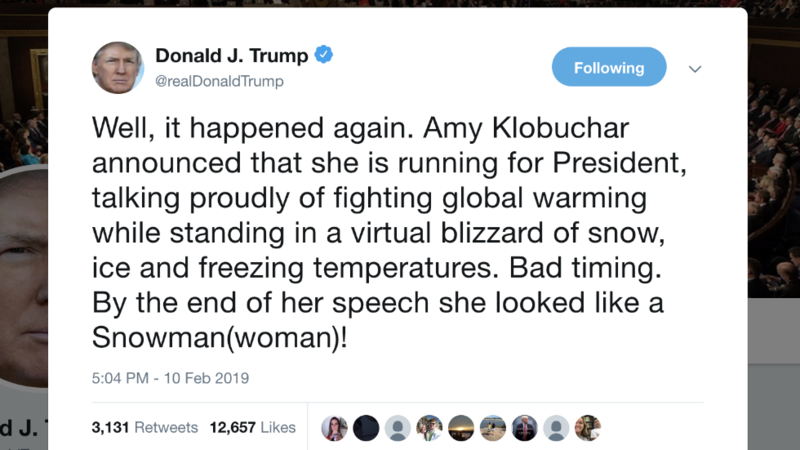 I didn’t see where Amy explains how restricting our whole culture and giving billions of our tax dollars to socialists in Paris is going to change climate. Is she really this stupid? We are on the annualized APS plan and pay $280 a month. We keep the house at 76 in the summer and 70 in the winter. My husband has severe health issues. On oxygen 24/7 and a ventilator at night. I just love getting nasty letters from APS telling me I spend $600 more a year than my neighbors for electricity. But all his medical equipment uses it. The gratuitous U.S. flag in the snow was a nice touch. Refutes? She didn’t refute anything. I get those letters too and they are based on Snow Bird usage impacting averages. Why can’t we shoot them? I guess we can put him in a home and spread the wealth on all AZ state taxpayers since he’s long term care eligible. Half of my neighbors live here 6 months a year. He takes a lot of medications and it is even a burden because our local Walgreens have to hire extra pharmacy tech staff during the winters because of the elderly population. It amazes me the job they do really. I’ll be standing in line and nearly all of their customers don’t even know why they are standing in line at the pharmacy counter. And don’t get me started about the dang golf carts. Most don’t even know how to properly operate a vehicle let alone a golf cart. Actually, no, ABC News, she did not refute it. 'Refute' means: "to prove to be false or erroneous". She proved nothing. Only continued to insist that her lies are the truth.. When the Meth-Head is so outrageous he/she can’t stay in California and has to move here, he drives 55 in the 45. When the British Columbian Mercedes with the 87 year old has to do 35 in the 45. The entire valley is 45 miles per hour. Except the main street in my neighborhood which is 35. And older people can’t even figure out how to drive at the speed of 25. I really think the golf carts shouldn’t be allowed to drive on city streets, it really is dangerous. klobuchar is your typical LIB loser who is misinformed and perpetually confused. Hey, amy...those are SEASONS. Did I say nitwit and loser? None of these candidates is actually running against President Trump yet. Why don’t some of these ‘news’ stations ask what they think about their actual, current opponents? Debates between these candidates will both mostly annoying with some intermittent moments of lightning as they zot each other. We knew what the area was like with the “Golf Communities” etc when we choose to move here six years ago. We wanted to work about three more years and then retire and that is what we did. I’m still trying to find the door to the basement in my house though, any ideas? The squaw of Chappaqua is the faint trace of yesterdays fire. Gray Beaver will be slain by the buffalo warrior from the land of the setting sun, Mighty Kamala of the Slapaho tribe. The medicine of Gray Beaver is old and tired. The medicine of the Slapaho warrior is too strong for the princess of the High Cheek Bones to overcome. Since she descended from atop the member of chief Willie, the mighty Kamala has blazed a trail of terror in her battle of conquest. Many scalps has she collected. She will strike much fear into the hearts of pretenders. From the land of lakes to the shores of the far off smoking island, from the land of the rising sun to the land of black water all will fall to the Slapaho. She will pick Bob of the Irish tribe as sub-chief as she rides to battle Big Chief Orange Hair and his silver haired sub-chief. One note to corroborate what you said: Kamala did take those scalps. Take a look at the heads of Willie Brown and Corey Booker. Not a hair to be found. Hopefully the guy with his hair left, swirled to perfection, Big Chief Orange Hair will dominate and crush the lower tribes. Without their Affirmative Action Magic Dust they will be exposed as mentally weak and totally inferior. Entertainers and athletes but not good for any worthwhile endeavor.